Weighty Matters: The Greatest Danger of Processed "Home Cooking"
It's not necessarily the actual food, but rather it's what it teaches. Take the fish example up above. 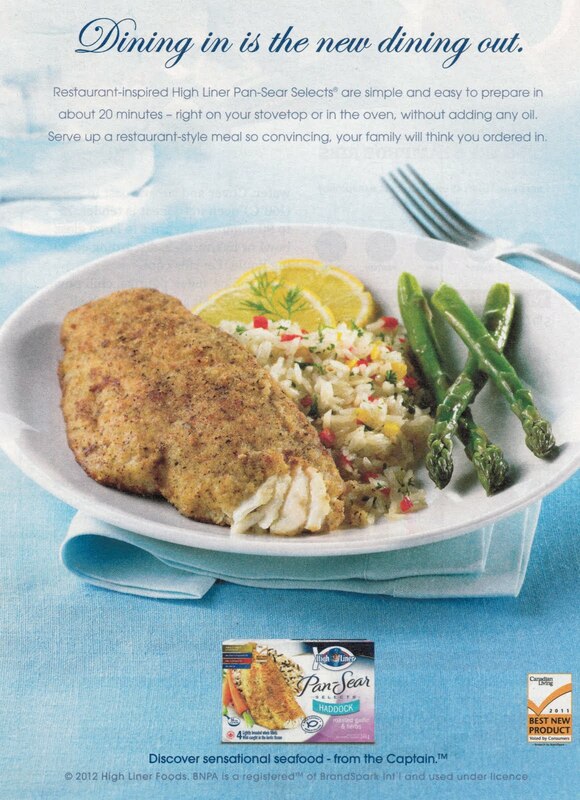 Nutritionally I'm guessing that it's pretty much the same as if you breaded, seasoned and pan fried the fish yourself. The message is that good healthy food comes in boxes. And the message that's lost? That it's actually not even remotely difficult to buy fresh fish, season it and pan fry it. And if fresh is a challenge, perhaps even preparing plain frozen fish fillets that you first thaw for a few moments in a sink full of water. Reliance on boxes robs people and their highly impressionable children of the basic life skill and healthy living importance of cooking while simultaneously perpetuating the de-prioritization of actual meal preparation from our modern day lives. While the final outcome in this case might be nutritionally comparable, and might even take 1 or 2 minutes less time than from scratch, I'll still label it as part of the problem, rather than part of the solution. Sure, rely on products like this in a pinch, but I'm guessing many rely on them more often than not. We're not going to solve society's nutrition related woes with boxes.